Most communters would be happy with this density of traffic on the H-1 freeway passing through Kalihi. At least it's moving. 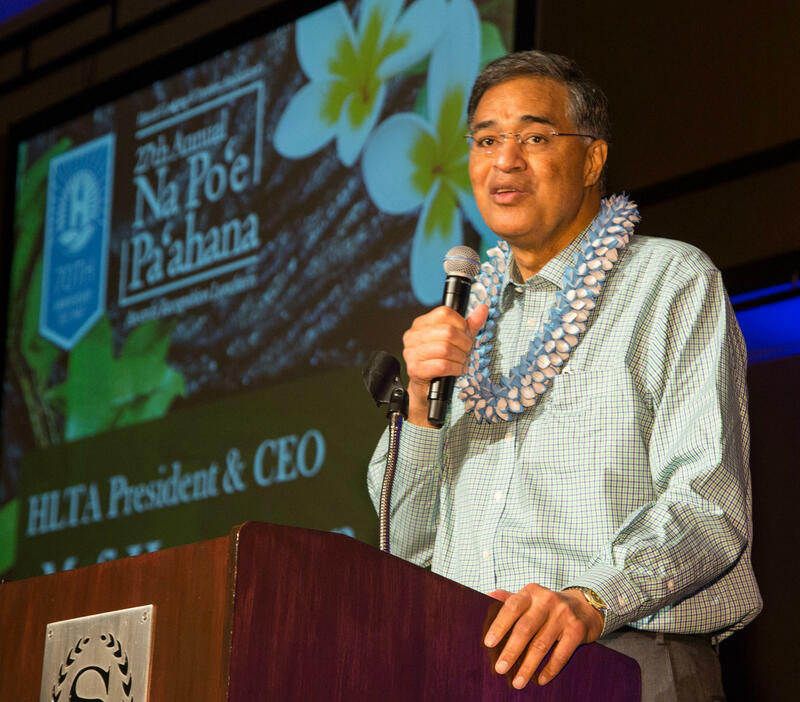 Former Honolulu Mayor Mufi Hannemann is currently President and CEO of the Hawaii Lodging and Tourism Association. 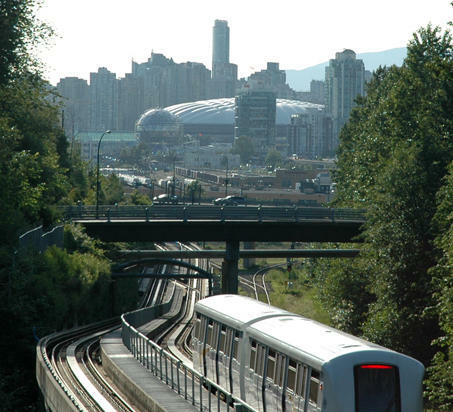 Former Mayor Mufi Hannemann describes how he became a proponent of elevated rail, and we look at the different kinds of cities created by elevated and street level systems. (Reporter's note: In three separate recording sessions in the Fall of 2016, former Mayor Mufi Hannemann engaged in wide ranging discussion of his part in Honolulu's current rail project. Fast, reliable mass transit from east to west along Oahu's south shore has been under discussion for over forty years. Previous false starts reportedly had federal officials on guard, but Hannemann persuaded the state legislature to institute a .5% general excise tax to fund the project, tipping the scales in its favor. 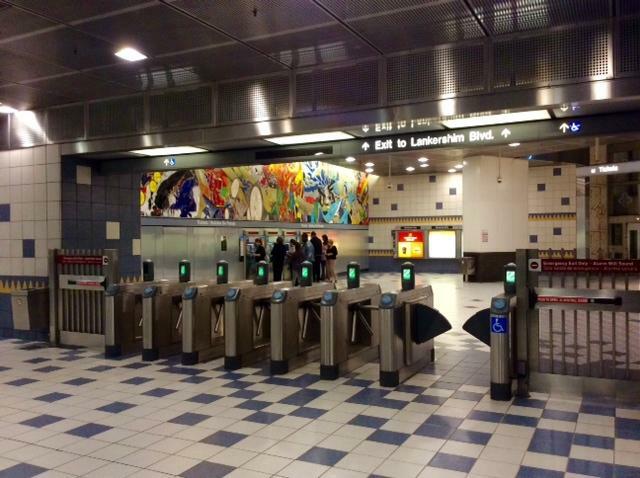 The Federal Transit Administration (FTA) agreed to kick in $1.5 billion dollars, nearly a third of the projected cost at the time. 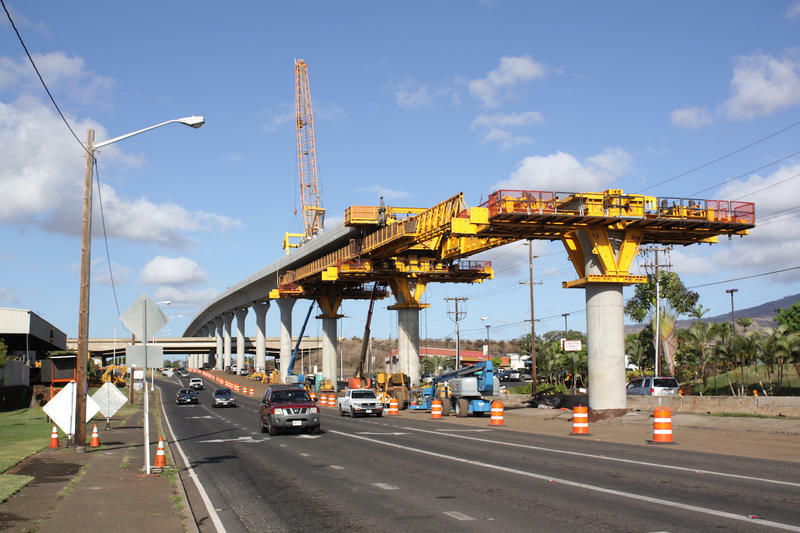 Find a transcript of the third interview, which includes Transportation Planning Chief Toru Hamayasu, posted with the story, Really, Honolulu How Did We End Up With Elevated Rail? That interview contains the primary arguments against street level (at grade) rail. You seem to have known a lot more about the options coming in. What was your prep finding out about our options. Where did you see systems you liked? I liked what I saw in Portland, I liked what I saw in Washington D.C., I liked what I saw in Salt Lake. But those are all at grade systems, those are not elevated. Well I went to Vancouver and I saw the elevated system and I said, That makes sense to me for Honolulu. But the thing about Vancouver is that it is not elevated in the city, and getting to street level is what many in Honolulu would like to do. 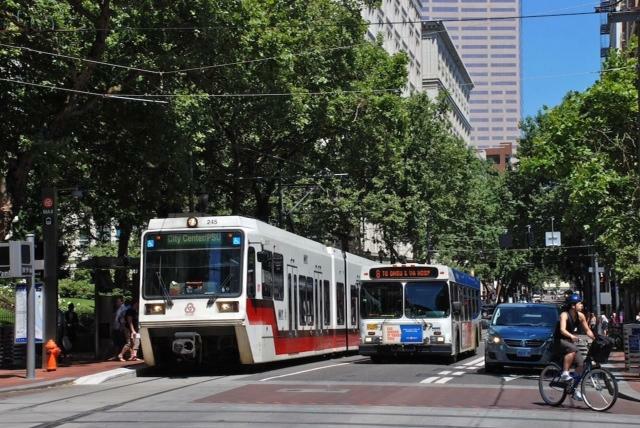 Anything through town will be costly, close to a nightmare, with its utility lines, cross streets and possible burials, but elevated transit and transit at street level, what’s called “at grade,” each result in different kinds of cities. Transportation planner James Charlier is the founder of Charlier Associates, an international transportation planning company based in Boulder, Colorado. Charlier: With trains at street level, you tend to have a much more intimate relationship between storefront businesses, the sidewalks, and the people who live in the area. When you have an elevated system, that's all sort if inside an elevated station. People are coming up and down escalators, taking overpasses over the street to get to other buildings, and so the development pattern that results from that is more vertical. Charlier says in a vertical mix, typically, there is retail on the ground floor, followed by maybe ten floors of office, then residential above that. Charlier: It's a debatable subject, but I certainly would never say that it was an inappropriate model for what Honolulu is trying to do. Reliable, high speed travel from UH West Oahu into town and back is a big part of that plan. Hannemann: I also felt that it would encourage visitors to take the train to see the west side of Oahu, to see Pearl Harbor, see the Ewa plains. You'll capture things you see above grade that you don't see at grade. It's expected that current construction will get to middle street on the 'Ewa edge of town in about three years. What to do after that is currently under discussion, as state legislators consider whether to extend rail's GET. Hawai'i's Thousand Friends, in conjunction with a coalition of architects, planners, and others who have been critical of elevated rail, are pushing a street level option they say is cheaper and faster to build. Two planners asked about that option have stated it appears to be more "back of the envelope" ideas than a concrete proposal the city could base decisions on. Before that, possibly coming to the neighborhood you're in, Transit Oriented Development, TOD. Waipahu and Pearl City have plans, Halawa, are you getting a new stadium as part of the deal? TOD is one area the public could get involved in, City government is encouraging that right now. We'll take a look at that next.